Happy Friday! Our Chapel Designer to end the week is True Florette! This first fabulously colorful piece is made of tulips, ranunculus, godetia, winterberry, amaranthus, antique hydrangea and fall grasses. True Florette launched last year in New York’s Lower Hudson Valley after Jeanette Kleitz spent several years as a freelance designer in New York City. 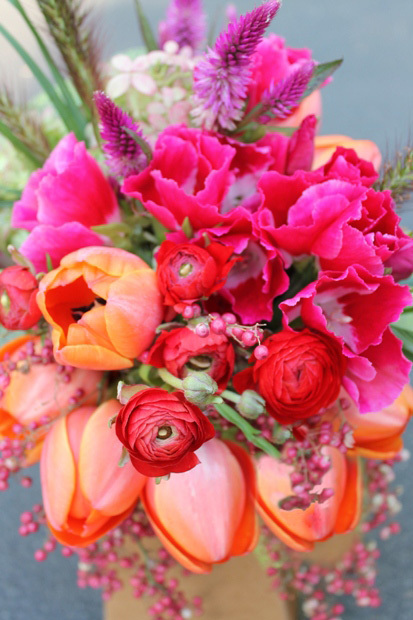 In addition to growing her wedding and event business, Jeanette offers custom-wrapped European hand-tied bouquets for local delivery in Rockland County, NY. Her work is fabulous, and this just goes to show you don’t have to have a sweeping portfolio just yet to join us in NYC this March. With mentors like Tara Guérard and Matthew Robbins, you can bet that True Florette is one to watch in 2012! 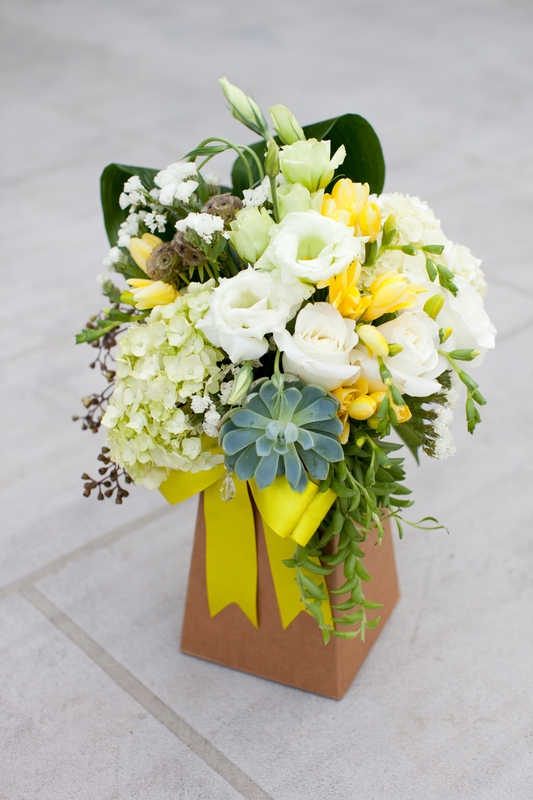 This fresh bouquet is composed of hydrangea, lisianthus, seeded euchalyptus, freesia, scabiosa pods, aspidistra, echiveria, “string of banana” succulents. This tropical bouquet by True Florette is made of cymbidium orchids, peonies, pincushion protea, “string of banana” succulents, flowering oregano. Thanks for tuning in with me this week! I hope you’ll check out our other Chapel Designers on the blog – we are so excited to see you all in NYC! Again, don’t forget to purchase your tickets on the sidebar.